This paper discusses one layer flexible circuit board due to one customer question. This customer has ordered several pic flex PCB from all flex flexible circuits and heaters. But he can not get detail technical paper from his PCB supplier. Emma has reviewed his FPC, it’s very simple one layer flexible circuits. One layer flexible circuits or named single sided flexible circuits. It’s almost the basic type of flex circuit board. Not only have simplest stack up, but also have a simple PCB manufacturing process. Most people think one layer flexible circuits just have one layer stackup. In professional flex PCB engineer’s view, this opinion is wrong. Usually one layer flexible circuit have consist of a conductive layer, we also named this layer as circuit layer. And also have two insulating layers in it’s stack up. If you have know the thickness of metal core PCB, you will be surprised to one layer flexible circuit’s thickness. Due to its simplest stack up, one layer flexible circuit has thinnest thickness of all FPC boards. 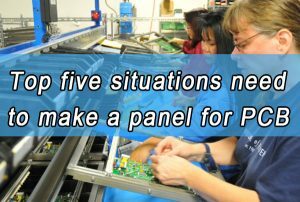 From our 4MCPCB flexible PCB experts, typically thickness from 3.6 to 6 mils. And if you have unique requirements, some flexible plant also can produce more thinner one layer flexible circuit. To be honest, one layer flexible circuit board not the widely uses FPC type. But also have some applications must use one layer flexible circuit board when consider the cost. Due to its have flexible bending ability and simple construction, some laptops and cell phones use one layer flexible circuit in the early days. Right now there are some simple, smart devices, like Sphygmomanometer. Most engineers may care about the electronic parameters of one layer flexible circuit. Normally one flexible circuit board can carrying current range from a few milli-amps to several amps. Due to differ FPC manufacturers may use differ flexible base material, or have difference quality control process. The electronic parameters are difference. This friend may due to carrying current ability confuse to other parameters. How are multilayer PCBs manufactured? This entry was posted in Blog and tagged all flex flexible circuits and heaters, The applications of one layer flexible circuit, The electronic parameters of one layer flexible circuit, The stackup of one layer flexible circuits, The thickness of one layer flexible circuit.